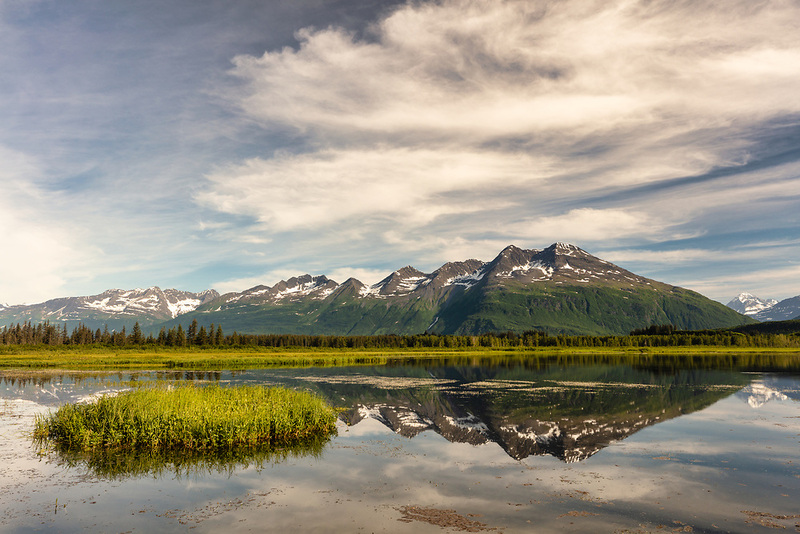 Reflection of Chugach Mountains in Robe Lake near Valdez in Southcentral Alaska. Summer. Morning.